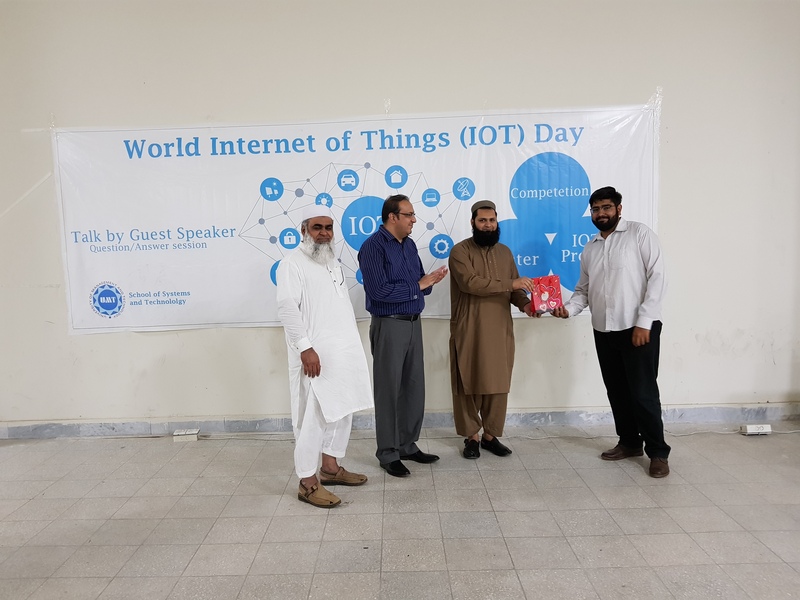 The School of Systems and Technology has celebrated the World Internet of Things (IOT) day with immense moral and technological support by the UMT higher authorities. 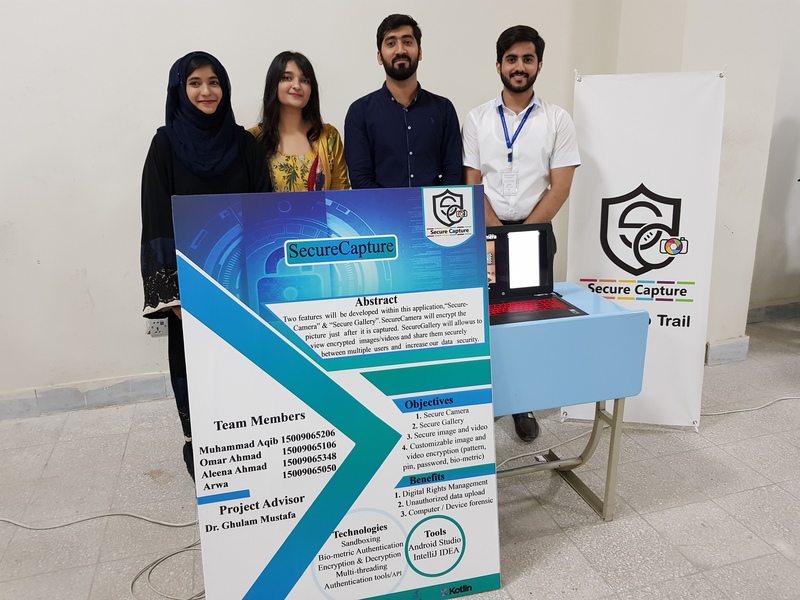 The students of SST participated with their Technical Projects and Posters; presenting the involvement of the IOT in modern scientific world and human lifestyle. 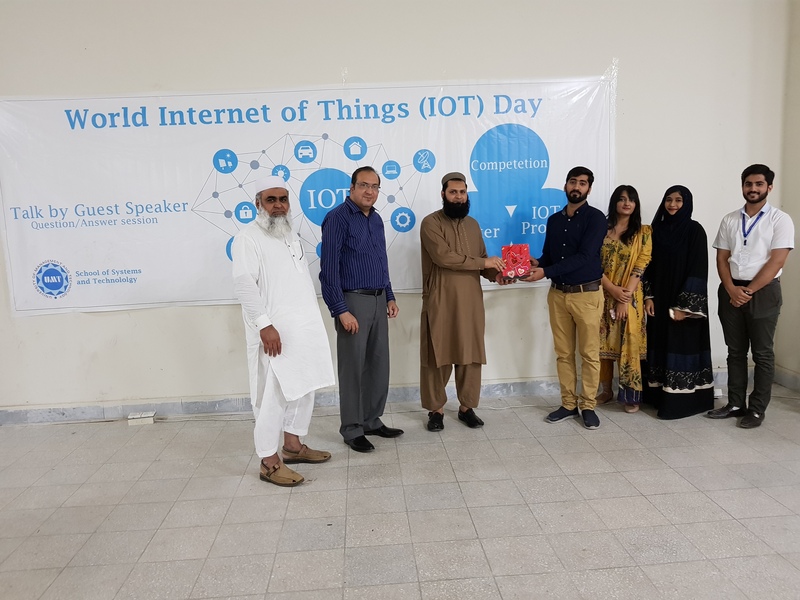 Dr. Tahir Mushtaq delivered an honorary lecture to the participants and talked about the introduction, innovations and technical contribution of IOT in modern world. 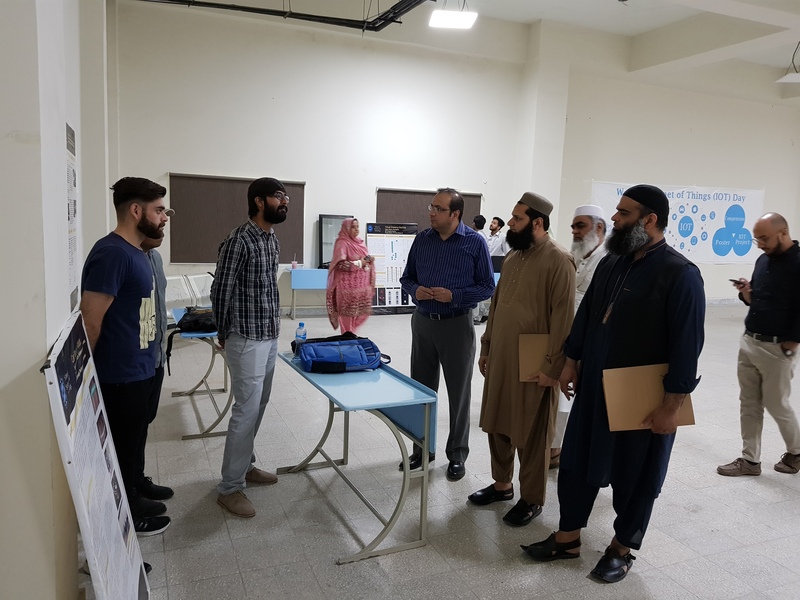 There was a question answering session at the end of the talk in which gifts were distributed among the participants who correctly answered. 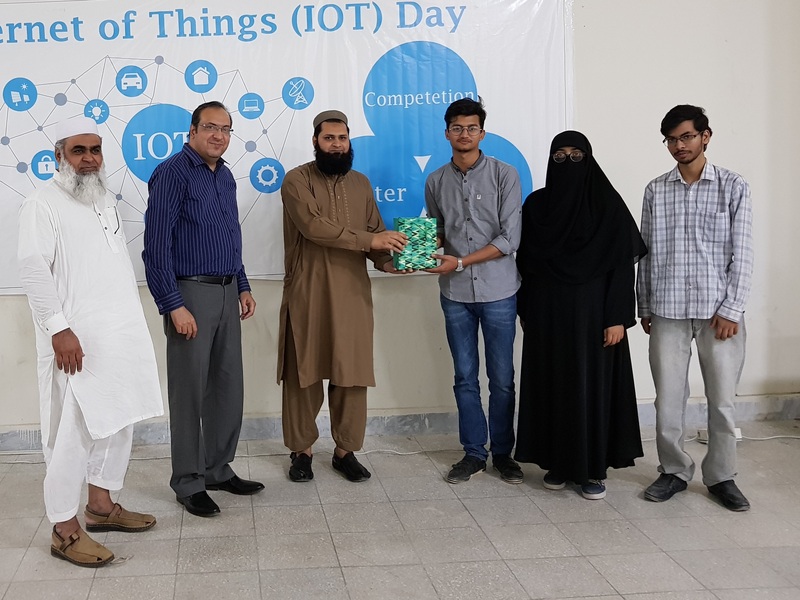 At the end of the day, there was a prize distribution ceremony in which the participants won the prizes on the basis of evaluations carried out by a competent technical evaluating team.